Lisa and Ted show children that it’s natural to have all kinds of emotions and that they can overcome bad feelings by how they think and act. The stories show that being cruel, anxious, self-pitying or jealous makes us feel unwell but choosing to be compassionate, hopeful, brave, appreciative and generous helps us to feel good….When faced with emotional upsets, Lisa and Ted consult their “calmer minds” and choose to use the exercises and positive attitudes to make themselves feel better…Over time these exercises help children to be more optimistic and open to new experiences because they will be building confidence in their coping skills. 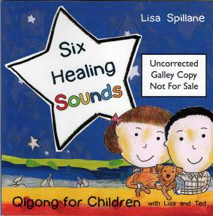 Illustrated in bright colors and written so that a child can understand and follow the directions, this book is a welcome addition to the field of qigong for children, a growing and important field. This book really captures the essence of the Dao of Tea. It reflects years of both tea drinking and wandering on the Way. I love how, in simple and elegant phrases, the author is able to convey so much of these ancient and timeless pastime. an infinite variety of cups. brew into what it is. There are many more like that. This is a great book to sit down with over a cup of tea and perhaps a good friend to share the poems with. pouring into and out of form. pouring into and out of your cup. Tea is the Tao in disguise. the cup and the cup’s emptiness. can you savor the One Taste? 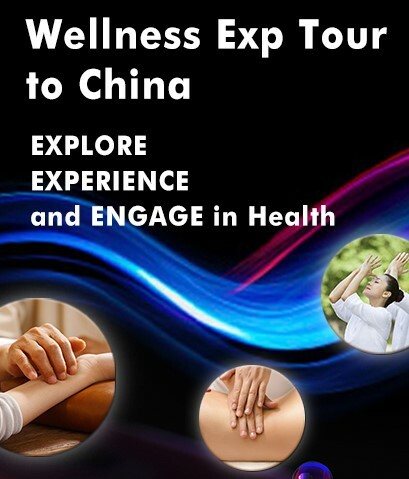 The author is an acupuncturist, herbalist and doctor of medical qigong therapy. She is the Chair of the Medical Qigong Department at the Acupuncture & Integrative Medicine College in Berkeley, California. In addition, Ms. Friedman is a featured columnist in Qi –The Journal of Traditional Eastern Health & Fitness with her column “Ask the Doctor” where she answers questions on TCM modalities for various ailments. This is not a book detailing qigong theory or history. It is designed to give people a straight forward approach to qigong exercises that can be made a part of their busy work schedules. The basics for doing qigong exercises are explained such as proper time to practice or not practice, attire, posture, mental intention, and proper breathing. The book is illustrated with excellent drawings and step by step instructions for each exercise. Early in the book, the author provides 20 exercises designed to give instant energy boosts. 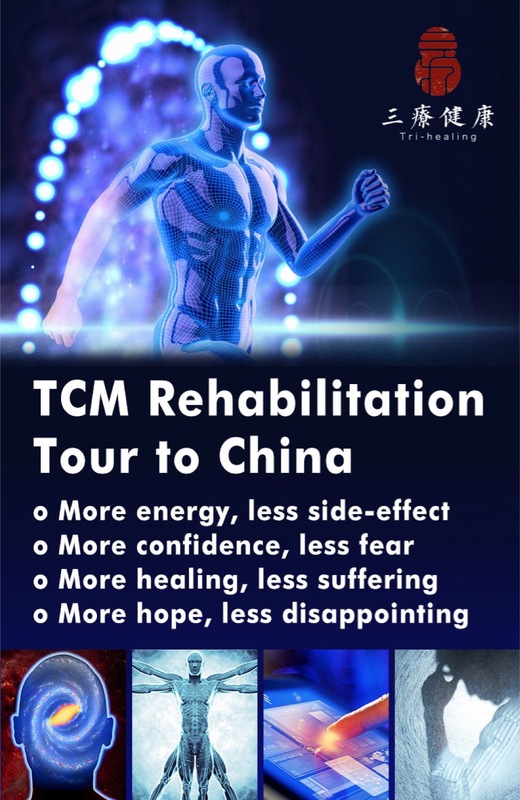 These exercises include breathing exercises to calm the mind, relax muscle tension, use of massage techniques to alleviate tension, acupoint tapping to improve energy flow, healing sounds for balancing and strengthening various meridian systems, exercises to loosen, and strengthen the knees, wrist, lower back , neck , shoulder and spinal column. The reader is then asked to take an honest assessment of his or her’s physical health. 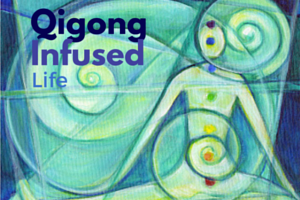 Specific qigong exercises self-message and issuing healing sounds can be selected to deal with specific issues that one has. The reader is advised that these exercises are not a substitute for medical advice and treatment, and that one should check with their medical advisor before beginning a new exercise routine. Some of the health issues addressed are digestion, heart function, detoxification (liver function), respiration and immune function, kidney function, sinusitis, hypertension, headaches and back or menstrual pain. Nausea, anxiety, bowel function, insomnia and weight loss exercises are included as well. As part of the mind, body and spirit connection, the author goes on to provide exercises to deal with emotional stress, anger, anxiety, grief, sadness, focus and concentration and centering. Many of these exercises include meditative visualizations. The author concludes the book with a chapter devoted to calming the spirit. 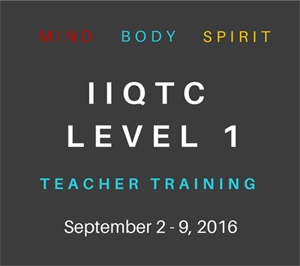 Exercises include grounding the mind and body, gathering yin and yang qi, and spontaneous qigong. In addition, meditative visualizations to get in touch with the inner self are described including the only mantra practice in the entire book. The book ends with the following “Where the mind goes, the qi follows. If you focus your attention and intention during an exercise, your body’s energy will respond accordingly. Above all else, you should enjoy your practice. Health and healing come quicker with a smile than with a furrowed brow! May your qigong practice bring you double happiness.” In conclusion, I feel this book offers many easy to follow qigong practices to help an individual deal with specific health issues, maintain a good energy balance and be able to fit chosen practices into their schedule. The instructions are easy to follow, the illustrations helpful and the words encouraging. 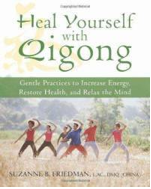 This entry was posted in Book Reviews and tagged Qigong. Bookmark the permalink.